The roses in my personal garden haven’t been watered in over a decade. And that includes during a drought. A member of our rose discussion forum recently posted a question about coping with drought when growing roses. For most of us who can simply turn on a hose this is not an issue. But this person has a garden in Tuscany that is not at their house and there is no “running water” there. They capture rainwater in barrels, but this means they cannot water at will when the rains stop coming because the barrels will eventually run dry. The question they asked is should they continue to water their roses or stop and let them fend for themselves. Your question right now is likely, “what does this have to do with my garden because I have running water 24/7”? The answer is, it might give you better roses in the long run. I live in the foothills of upstate South Carolina where we average around 50 inches of rain per year. However, like any climate we have ups and downs and a few years ago we had a real downer that took the form of a drought for almost 6 weeks. What happened was – nothing. The roses dropped some leaves, the blooming stopped; but they didn’t die and today after normal rains they are just as beautiful as ever. I did some reading and asking around, and as you probably know a plant’s defense mechanism during drought is to go almost dormant – like they do in a true winter. Their other defense mechanism is to push their roots deeper looking for water. 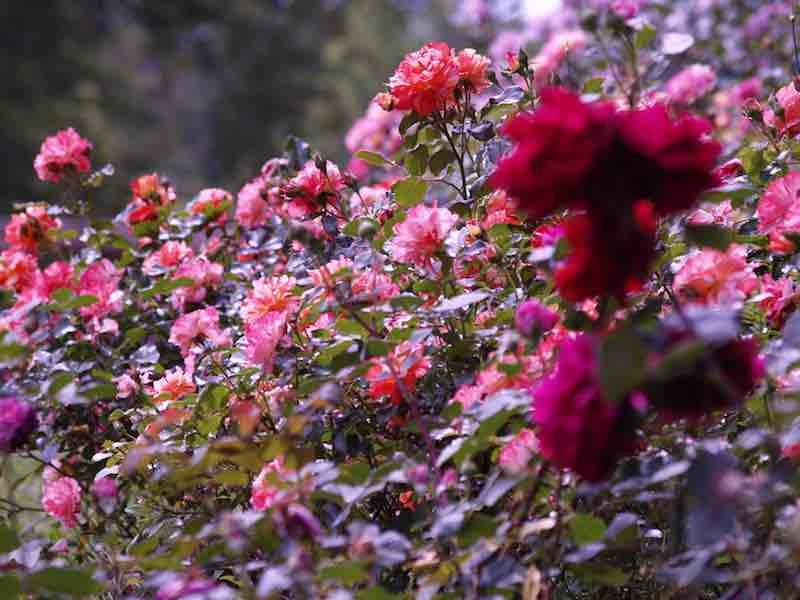 For my roses this means they are now even more established and able to fend for themselves. I’ve noticed since the drought they are less subject to the whims of Mother Nature’s weather patterns. I don’t think this would have happened had the roses not been forced to push their roots out of their artificial watering comfort zone. I realize this strategy won’t work for everyone because soil types are so different. Those of you with sandy soil that quickly dries out (another case for mulch) will likely not be able to go weeks and weeks without watering. But you may be able to stretch it out a bit and here is a simple test to see how often you should water. Water all the roses and mark the date on your calendar. Then wait and watch. When the roses start to droop note the date, count back the number of days to when you last watered, subtract one day and that is how often you need to water. Repeat this occasionally and you will likely see you will need to water less and less as the roots push deeper into the earth. In other words let the rose tell you when it’s thirsty. This blog post started because of an article I wrote for Fine Gardening Magazine about giving your roses tough love. Not watering during a drought is another way that philosophy has given me better roses.